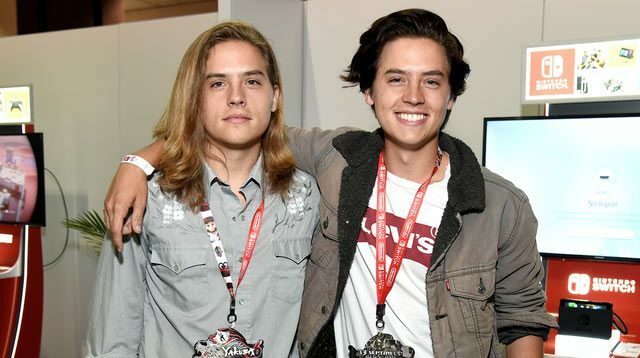 While twin brother Cole Sprouse is killing it on the CW's teen drama Riverdale (and reportedly romancing on-screen love interest Lili Reinhart), former The Suite Life of Zack and Cody co-star and longer-haired twin Dylan Sprouse had been mostly keeping out of the spotlight. 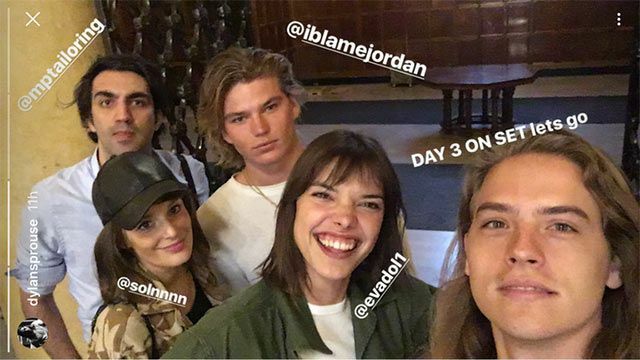 But in an (alas, since-deleted) Instagram post, Dylan reportedly riffed on Kendall Jenner's infamous heart hair photo, posting a shot from the set of indie film Carte Blanche with the caption, "I use mane and tail." (As in, the hair products originally used for horses.) This is only his second acting role (and first live-action) since bowing out of Suite Life back in... 2011! While Dylan's post is no longer up, something he warns about in his Instagram bio, "No photos are permanent," director Eva Doležalová posted shots of Dylan on set. That hair though! While promoting All-Wise, Dylan dropped a hint earlier this year that he was just waiting for the right acting role for his return to the field, sharing, "I'm interested in roles that are human, that have some sort of empathic quality. A role I would not do: cool jock. That's not something I'd be interested in doing. Scripts that make characters a two-sentence description, I'm not interested in." Hopefully Dylan's acting return matches up to if/when Riverdale ever does an evil Jughead twin storyline. Hey, it could be the next dark teen drama to pull that storyline off.